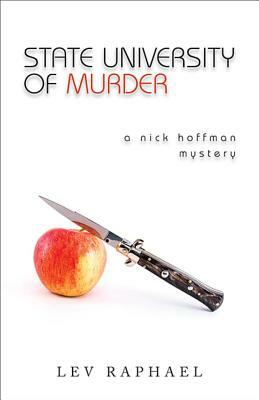 Still reeling from having escaped a mass shooting on campus, English professor Nick Hoffman finds himself on the receiving end of confessions by one colleague after another. All of them have good reason to hate the new department chair, Dr. Napoleon Padovani, who throws his weight around capriciously and cruelly. Resentment mounts on campus -- with an inevitably fatal result. Chaos and confusion reign among the faculty, which then turns on its own. Can Nick and his spouse Stefan restore order and save the day? Raphael has described the university as "a unique combination of the vanity of professional sports, the hypocrisy of politics, the cruelty of big business, with a touch of organized crime thrown in.